Abstract: The present investigation is aimed at comparison of conventional steel building with pre-engineered buildings. The present construction methodology for buildings calls for the best aesthetic look, high quality & fast construction, cost effective & innovative touch and as Steel is a preferred material for construction, due to its various advantages like quality, aesthetics, economy and environmental conditions. In this investigation the portal frame of ware house of different spanning like 30 m, 25 m, 20m, 15m with the different crane capacity like 5 tons, 10 tons, 15tons, 20 tons on each span is carried out using standard computer software like STAAD PRO V8i. And the design calculation is done with the help of IS800-2007. As well as for the cold formed sections IS801-1975 is used. The design is done for both conventional steel structure and Pre-engineered steel structure for the all spans with crane load. Keywords: Conventional steel, Pre-engineered steel, crane load, Comparative Study. 2. “Pre-Engineered metal Buildings the latest trend in building construction” by K.K.Mitra – Gen. Manager (marketing) Lloyd Insulations (India) Limited. 4. Books “Steel Structure Design & Practice BY N. Subramanian. Abstract: Ultrasonic technology has been on the market for years and is still considered a trusted technology throughout the industry. The design of the Ultrasonic Radar is very useful for many applications like homes, shops, military and object detection. The aim of this work is to build an ultrasonic transceiver which is basically one kind of a radar system to get exact distance and angle for fixed objects placed around the device based on the speed of ultrasonic waves in open air. An Arduino microcontroller was used to transmit and receive the ultrasonic waves through 40 KHz in order to provide the flexibility of usage requirements. A delay occurred between the transmitted and the received waves govern the reflection of sound. Some tests were done using two kinds of alarms first: the visual alarm which done by a personal computer screen designed to be a radar screen. Second the audible beep alarm which done by an LCD digital screen. 2. Dontabhaktuni Jayakumar , A. Pravalika, K. Purnachandra Rao ‘ Model Radar Implementation Using Ultrasonic Sensor’ , paper published in November 2014. 3. S. D. Gupta , A.A. Haque, A. R. Sudip Majumder, “Design and Implementation of Water Depth Measurement and Object Detection Model Using Ultrasonic Signal “ , paper published in October 2012. 4. S.G.N. M urthy, B.Sangoju, H.Wiggenhauser, N.R.Iyer , “Application of Radar and Ultrasonic Pulse Echo for Testing Concrete Structures , paper, July 2009. 5. Md. Shamsul Arefin, Tajrian Mollick , “Design of an Ultrasonic Distance Meter” , paper ,published in March 2013. 6. L. Sambuelli, L. Valentina Socco, A. Godio ,” Ultrasonic Electric and radar measurements for livening trees assessment” paper , published in Desember 2006. 7. A. Luciano, M.Vicente, T.Carlos, ” Ultrasonic Sensors in Urban Traffic Driving-Aid Systems” , paper published January 2011. 8. Tech Support,Ultrasonic Ranging Module HC - SR04, http//www.services.elecfreaks.com. Abstract: Inflatable materials find a wide range of applications in structural field as they are light, strong, anti-corrosive and can be moulded in any shape. Due to it’s advantage of light weightiness and ease of transportability, inflatable has been the area of research since our past and more over it has been attracted even today’s genesis toward itself in its commercial application, civilian applications as well as in defence too. This paper focuses on determination of deformation and stresses for inflatable cylinder under various conditions by using ANSYS 14.5. Keywords: Deflection, Inflatable Cylinder, Inflatable Material, Stresses. 1. Jeffrey D. Suhey(2005), Numerical Modeling and Design of Inflatable Structures- application to open-ocean- aquaculture cages, Elsevier, Aquacultural engineering. 2. The Effect of Flexibility on the Design and Performance of Inflatable Boats, plus Environmental Considerations P. Halswell –ph3e09@soton.ac.uk, P.A. Wilson, D.J. Taunton and S. Austen Nov 2013. 3. Richa Verma, Advancement in Inflatable –“A review”, International Journal of Engineering and Technology. ISSN 0974-3154 Volume 6, November 4 (2013), pp. 477-482. 4. Arbos-Torrent, S., Pang, Z. Y., Ganapathisubramani, B., Palacios, R., (2011) Leading and trailing edge effects on theaerodynamic performance of compliant aerofoils. In: 49th AIAA, No.1118, pp.1-16. 5. Bereznitski, A.,(2001) Slamming: The role of hydroelasticity. Int. shipbuilding progress 4, (48), pp. 333-351. 6. Bishop, R. E. D., Price, W. G.,(1979) Hydroelasticity of ships. Cambridge University Press. 7. Dand, I. W., (2002) Resistance measurements with an RNLI D-class Lifeboat. Report by BMT Sea Tech; Doc No.3356.02. 8. Dand, I. W., Austen, S., Barnes, (2008)The speed of fast Inflatable Lifeboats. Int. Journal of Small Craft TechnologyVol. 150 Part B2, pp. 23-32. 9. Faltinsen, O. M.,(2005) Hydrodynamics of high-speed marine vehicles. Cambridge University Press, ISBN; 0-521-84568-8. 10. Gordnier, R.,(2009) High fidelity computational simulation of a membrane wing airfoil. Journal of Fluids and Structures25, (5), pp. 897-917. 11. Hirdaris, S. E., Temarel, P.,(2009) Hydroelasticity of ships: recent advances and future trends. Proceedings ofthe Institution of Mechanical Engineers, Part M: Journal of Engineering for the Maritime Environment 223, (3), pp. 305-330. 12. Savitsky, D., Morabito, M., (2010) Origin and characteristics of the spray patterns generated by planning hulls. Davidson Laboratory, Stevens institute of technology, Report No. 2882. 13. Townsend, N. C., Coe, T. E., Wilson, P. A., Shenoi, R. A.,(2010) On the mitigation of human motion exposure onboard high speed craft. Strategies and methods, includingflexible hull design. Private Communication. 14. L Puiga, A Bartonb, N Rando (2010), “A review on large deployable structures for astrophysics missions” Acta Astronautica, Volume 67, Issues 1– 2, July–August 2010, Pages 12–26. Abstract: This paper deals with the theoretical investigation of Hall current effect on micro polar fluid layer heated from below subjected to horizontal magnetic field in a porous medium. A dispersion relation is obtained for a flat fluid layer contained between two free boundaries using a linear stability analysis theory and normal mode analysis method. In case of stationary convection, the effect of various parameters like medium permeability, coupling parameter, micropolar coefficient, micro polar heat conduction parameter, magnetic field and Hall current parameter has been analyzed and results are depicted graphically. The sufficient conditions for non-existence of over stability are also obtained. 1. A.S. Gupta, “Hydromagnetic flow past a porous plate with Hall effects”, Actamechanica, 22, 281 (1975). 2. C. Perez-Garcia and J.M. Rubi, “On the possibility of overstable motions of micropolar fluids heated from below”, Int. J. Engg. Sci., vol. 20, pp. 873-878, (1982). 3. C. Pérez-Garcia, J.M. Rubi and J. Casas-Vazques, J. Non-Equilib. Thermodyn, 6, (1981), 65 (1981). 4. E.M. Aboeldahab and E.M.E. Elbarby, “Hall current effect on magnetohydrodynamics free convection flow past a semi-infinite vertical plate with mass transfer”, Int. J. Engng. Sci. 39, 1641, (2001). 5. G. Ahmadi, “Stability of micropolar fluid layer heated from below,” Int. Engg. Sci., vol. 14, pp. 81-89, (1976). 6. M. Acharya, G.C. Dash, and L.P. Singh, “Hall current effect with simultaneous flow near an accelerated vertical plate”, Indian Journal of Physics, 75B(1), 168 (2001). 7. M.R. Raghavachar and V.S. Gothandaraman, “Hydromagnetic convection in a rotating fluid layer in the presence of Hall current”, Geophys. Astro. Fluid, Dyn. 45, 199 (1988). 8. R.C. Sharma and P. Kumar, “On micropolar fluids heated from below in hydromagnetics”, J. Non-Equilibrium Thermodynamics, vol. 20, pp. 150-159, (1995). 10. R.C. Sharma, Sunil and S. Chand, “Hall effect on thermal instability of Rivlin-Ericksen fluid”, Indian J. Pure Appl. Math., 31(1), 49, (2000). 11. S. Chandrasekhar, “Hydrodynamic and Hydromagnetic Stability”, Dover publications, New York, (1981). 12. Sunil, Y.D. Sharma, P.K. Bharti, and R.C. Sharma, “Thermosolutal instability of compressible Rivlin-Ericksen fluid with Hall currents”, Int. J. Applied Mechanics and Engineering, 10(2), 329 (2005). 13. Takhar, “Unsteady flow free convective flow over an infinite vertical porous plate due to combined effects of thermal and mass diffusion, magnetic field and Hall current”, Journal of Heat and Mass Transfer, 39, 823 (2006). 14. U. Gupta and P. Aggarwal, “Thermal instability of compressible Walters’ (Model B’) fluid in the presence of Hall currents and suspended particles”, Thermal Science, 15(2), 487 (2011).15. U. Gupta. P. Aggarwal and R.K. Wanchoo, “Thermal convection of dusty compressible Rivlin-Ericksen fluid with Hall currents”, Thermal Science 16(1), 177 (2012). 16. L.E. Payne, and B. Straughan, Int. J. Eng. Sci. 27, 827 (1989). 17. Y. Qin and P.N. Kaloni, “A thermal instability problem in a rotating micropolar fluid”, Int. J. Eng. Sci. 30, 1117 (1992). Abstract: Classification is the process of arranging a number of items into groups in such a manner that the members of the group have one or more characteristics in common. In this research paper, we present a comparative study of five different classification algorithms using WEKA, a data mining tool. This article gives an overview about the classification algorithms such as ZeroR, Naïve Bayes, J48, IBK and SMO. The dataset used for conducting the experiment is the toxicity dataset of aliphatic carboxylic acids. The main aim of this paper is to make a comparison of different classification algorithms and to find out the best algorithm out of the five chosen algorithm which gives the most accurate result. 1. 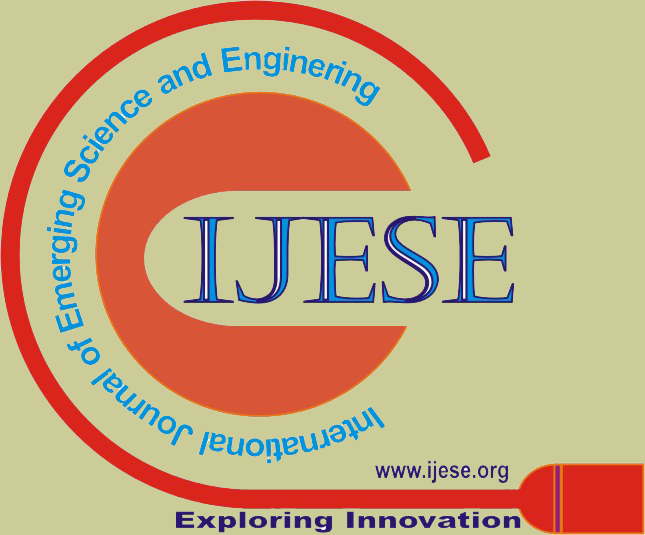 Kavitha C.R, Dr. Mahalakshmi, “Chemical Databases: A Brief Walk‟, International Journal of Emerging Technology and Advanced Engineering (IJETAE), ISSN 2250-2459,ISO 9001:2008Certified Journal Volume 3 Issue 8 August 2013. 3. Jiawei Han, Micheline Kamber, Jian Pei”,Data Mining: Concepts and Techniques”, third edition, Morgan Kauffman Publishers. 4. ‘Classification’, [Online] Available “http//infochemie, u-strasbg.fr /master/ tutochemo/tp8/classification.pdf”. 5. ‘ZeroR’, [Online] Available at http://www.saedsayad.com/zeror.htm. 6. Posterior probability’, [Online] Available at” http://www.saedsayad . com /naive_bayesian.htm. 7. Foruzan Kiamarzpour, Rouhollah Dianat, Mohammad bahrani, Mehdi Sadeghzadeh, “Improving the methods of email classification based on words ontology”,[Online] Available http://arxiv.org /ftp/arxiv /papers /1310/1310.5963.pdf. 8. Grigoris Antonion, George Potamias, Costas Spyropoulos, Dimitris Plexousakis,”Advances in Aritificial Intelligence”, 4th Helenic Conference on AI, SETN 2006, Heraklion crete, Greece, May 2006 Proceedings, Springer. 11. ‘Confusion Matrix’, [Online] Available “http://www2.cs.uregina.ca/ ~dbd /cs831 /notes/confusion_matrix/confusion_matrix.html”. 12. ‘Confusion matrix’,[Online] Available at http://www2.cs.uregina.ca /~dbd/ cs831/notes/ confusion_matrix/confusion _matrix.html”. 14. Kavitha C.R, Dr. Mahalekshmi,” Chemical File Format Conversion Tools: A n Overview”, International Journal of Engineering Research & Technology (IJERT), ISSN: 2278-0181, Vol. 3 Issue 2, February – 2014. 1. R. Landauer, “Irreversibility and Heat Generation in the Computational Process”, IBM Journal of Research and Development, 1961. 2. D. P. Vasudevan, P.K. Lala , J. Di and J.P Parkerson, “Reversible–Logic Design with Online Testability”, IEEE Trans. on Intrumentation and Measurement, April 2006. 3. C. H. Bennett, “Logical Reversibililty of Computation”, IBM J. Research and Development, November 1973. 4. R. Feynman, “Quantum Mechanical Computers” , Optics News, 1985. 5. T. Toffoli, “Reversible Computing”, Tech memo MIT/LCS/ TM-151, MIT Lab for Computer Science, 1980. 6. H. Thapliyal and N. Ranganathan, “Design of Reversible Sequential Circuits Optimizing Quantum Cost, Delay and Garbage Outputs,” ACM Journal of Emerging Technologies in Computing Systems, Dec. 2010. 7. Abu Sadat Md. Sayem and Masashi Ueda, “Optimization of Reversible Sequential Circuits,” Journal of Computing, 2010. 8. E. Fredkin and T. Toffoli, “Conservative Logic”, Int‟l J. Theoretical Physics, 1982. 9. Peres, “Rversible Logic and Quantum Computers”, Physical review A, 1985. 10. M.P Frank, “Introduction to Reversible Computing: Motivation, Progress and Challenges”, Proceedings of the 2nd Conference on Computing Frontiers, 2005. 11. Diganta Sengupta, Mahamuda Sultana, Atal Chaudhuri, “Realization of a Novel Reversible SCG Gate and its Application for Designing Parallel Adder/Subtractor and Match Logic”, International Journal of Computer Applications (0975-8887), October 2011. 12. B. Raghu kanth, B. Murali Krishna, M. Sridhar, V. G. Santhi Swaroop, “A Distinguish between Reversible and Conventional Logic Gates”, International Journal of Engineering Research and Applications (IJERA), Mar-Apr 2012. 13. H. P. Sinha, Nidhi Syal, “Design of Fault Tolerant Reversible Multiplier”, International Journal of Soft Computing and Engineering (IJSCE), January 2012. Abstract: A well formed and valid XML document is always a standard of efficient transmission of data for internet. To increase the performance of XML document, right choice of parser is always an important issue. In this paper we try to review some parsing techniques for XML documents so that researches related to XML can get new possibility of the parsing methods. 1. H.M.Deitel, P.J.Deitel, T.R.Nieto, T.M.Lin, and P.Sadhu, XML How to Program, 2nd ed, LPE,Pearson Education,2009. 3. Esther Mınguez Collado, M. Angeles Cavia Soto, Jose A. Perez Garc´a,Ivan M.Delamer, and Jose L.Martınez Lastra, “Embedded XML DOM Parser: An Approach for XML DataProcessing on Networked Embedded Systems with Real-Time,” EURASIP Journal on Embedded Systems Volume 2008, 6 pages 2008. 4. Chia-Hsin Huang and Tyng-Ruey Chuang, “Prefiltering Techniques for Efficient XML Document Processing,” in Proc. DocEng’05, 2005. 10. Bhavik Shah, Praveen R. Rao, and Bongki Moon and Mohan Rajagopalan, A Data Parallel Algorithm for XML DOM Parsing Lecture Notes in Computer Science, Springer Berlin Heidelberg 2009, Volume 5679. 11. Yinfei Pan, Ying Zhang, Kenneth Chiu, “Hybrid Parallelism for XML SAX Parsing,” in Proc. ICWS '08, 2008. 12. Yusof Mohd Kamir, Mat Amin Mat Atar, “High Performance of DOM Technique in XML for Data Retrieval,” in Proc. ICIMT '09, 2009, Page(s): 303 – 305. 13. Dong Zhou, “ Exploiting Structure Recurrence in XML Processing,” in Proc.ICWE '08 ,Pages: 311-324. 14. Johannes Helander, “Deeply Embedded XML Communication –Towards an Interoperable and Seamless World”, in Proc EMSOFT’05, September 19–22, 2005, Jersey City, New Jersey, USA.